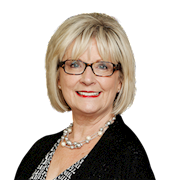 A native of Scotland who moved to the United States with her husband in 1969, Kari worked as a Montessori School teacher for six years and a goldsmith before becoming a full-time realtor. We cannot begin to thank you enough for all your hard work over the past year to sell our house. Not only did you put in great amounts of time and effort on our behalf, but you always conducted business with the utmost professionalism, discretion, and good humor. You were an excellent guide for us throughout this process, and we appreciated that you stayed level-headed and cool and through the many highs and lows over the year. We chose you as our realtor for all these reasons and we are so grateful to you for bringing this sale to fruition. Kari did an excellent job in suggesting improvements to make our sale. She was perfectly balanced with ones that are important but not overly expensive. Not living locally, she went the extra mile for us, overseeing both clean up and improvements for us. Her pricing of our property was excellent, bringing a quick but good sale above listing price. Her 28 years of experience were very obvious in our transaction. We highly recommend her. My husband and I have bought and sold four houses in the DC area (in Georgetown, Spring Valley, Kenwood, and most recently in Potomac) since the 1980s, using eight different real estate agents. In terms of knowledge, dedication, personality, and results, there is no doubt in our minds that Kari Wilner was the best agent we have dealt with. Thanks to Kari Wilner, my husband and I were able to sell our home in northern Bethesda/southern Potomac just in time to close on a home which we had contracted to purchase in Tucson, Arizona! Once Kari surmised our situation, the challenging (if not foolhardy) timing obstacle which faced us, she immediately went to work. She advised on staging our home in the least expensive way. She was in constant contact with us either by text, email, or phone. In addition, she utilized her many contacts throughout the Washington metropolitan area, including potential buyers and other savvy realtors, so that we experienced a steady parade of potential buyers on an almost daily basis. Kari�s deep understanding of the various neighborhoods and their cultures is yet more evidence of her incomparable experience. She has her finger on the pulse of every transaction in which she is involved. Potomac Sellers Marsha and Charles B.
Kari was extremely helpful to us with selling our house. She is professional, knowledgeable about the area and housing values, and a pleasure to deal with! In a very difficult situation, she came through with flying colors. We highly recommend her. Thank you, Kari! We took a year choosing our first house, and Kari was with is every step of the way! From discussing neighborhoods and school districts to fences and pools to home inspections and contingencies, Kari's knowledge, competence and fast responses were well beyond what we expected. Kari provided support and advice through all facets of our search, and the result was a house that is perfect for our family in every respect! Thanks, Kari! Kari was so great to us in our search for a house. She went above and beyond to ensure that we found the perfect home for our family. Highly recommended! Ours was an unusual situation as the realtor we were looking with was scheduled to move before our settlement. She introduced us to Kari. and we immediately felt at ease! Kari is quick to smile, easy to talk to and very knowledgeable about the more difficult process of securing a home loan in this day and age. Although my husband and I were well qualified for the loan, there were so many hoops to go through that we were almost ready to pay cash! Kari listened to us, communicated our concerns to the loan officers and helped to quicken the process. She also helped to move things along as we worked with the seller's realtor who had no experience with computers! Kari represented us at the settlement table as if she had known us for years. Kari made sure that all of our concerns were addressed! We had to move in a very short time to a very specific area. Kari was amazing and found us a great house before it went on the market. She was also extremely patient in negotiations with the seller. We were recommended to go to Kari, and I would wholeheartedly recommend her to others. Kari did an amazing job helping us find our first home. Most homes we were interested in were out of our reach. She kept up with us as we fixed up our first house into a great little home. When we needed to upsize as our family grew, Kari worked with us to make our first home ready for the market. She helped us to secure financing for a new house while we were preparing to list our current home. Kari helped to make sure everything went through with the timing of both closings.She did not let medical emergencies of buyers or bank mistakes derail the sale or purchase. Kari was clan and reassuring though all of it. She will definitely be a family friend for years to come. I could not recommend anyone more than I do Kari. We needed a special agent since we were making a cross-country move with three children under age 5. The situation required the majority of our house-hunting work to occur at a distance. We only had three days in Metro DC to find a home. Kari fit the bill. She was extraordinary! We had several conversations before our trip to DC. Kari knew what we needed, honed the search, and we found our home in two days. on the third day we had our inspection and saw an offer through acceptance. In addition, Kari advocated for us through a negotiation with the seller to cover a portion of the closing costs. Kari is highly recommended! Kari was great to work with. She is very professional and gives good advice. She also made herself available during the times when we were able to come see houses. I would definitely work with her again! Yesterday�s closing was a monumentus day for us in a process that is and will continue to be life altering and we hope, life affirming. And in both senses, Kari, this was a hard assignment. It required you to not only find the right home, a job I know you do regularly and clearly well. It also required you to help us find a home that suited us in ways that are not entirely easy to actualize in a manor that is borne of a tragic circumstance and which has the potential to change Kathleen's and all of our lives for the better as a family. You were a marvelous agent, and I will always admire and be grateful for your deft advice in negotiating. And for your gentle hand pointing to the rare combination of assets to be found in Marlin Terrace. You worked with us with commitment and dedication and patience (much!) and just sensitivity. We are and will always be grateful for all that you gave us. I received a letter from Kari Wilner indicating she was working with a young couple who was interested in moving into my neighborhood. I thought that was a very nice approach and since I was moving, I called Kari to discuss it with her. I had interviewed several agents but really liked Kari�s approach. I decided to work with her and from there on out, everything was positive, even though I was selling my home on my own without a realtor. Kari went out of her way to make sure all of my needs were met, and she kept me informed along the way. She is extremely efficient, detailed and made the whole experience quite pleasant. I would highly recommend Kari if you want to sell your home or purchase a new home. I am not sure where to begin or end this note of thanks! You have been far more to us than a real estate agent—you have said so many times that �It�s my job,� but you went way and above this being a �job� to help us find our new home. Thank you for everything. We have worked with many real estate brokers, none of whom can match the professionalism, competence, and care of Kari Wilner. We looked forever to find the perfect house and could not have succeeded in acquiring it without Kari's dedication, patience, and tenacity. The housing market in our area is one of the most highly competitive in the nation, and it takes the skill and savvy of a broker like Kari to find and get what you want. We have since recommended her to everyone we meet who is looking to purchase the home of their dreams. I have known Kari Wilner for almost 10 years. She has helped my wife and me buy and/or sell four properties. She is more than just a realtor but a friend. We have probably looked at over 50 properties together, and she never seemed impatient but rather examining each with her careful eye to determine what made sense for us. Her character is beyond reproach, and she truly treats each customer like a new member of the family. Unlike a lot of people in business today, Kari does things the right way. She will guide you and your family through what can be a stressful process with a good nature and, more importantly, years of experience. Even years after buying our house, I can call her for advice about a potential addition or whom to call to fix the plumbing. She is always willing to talk and happy to help. We have a realtor for life and I assure you that she will not disappoint. My husband and I have worked with Kari Wilner since the 1990s and every time has been a delight. We have bought one home with her and sold three homes. She has consistently worked to get us the best prices and has helped us think through all the decisions involved. She is extremely knowledgeable about the area and the housing market, and most importantly, explains everything in clear language, so that all the processes are easy to understand and get through efficiently. She does all this while being a delightful person to spend time with and extremely trustworthy. I cannot recommend her highly enough! I was very happy with the advice on how to prepare my home for sale as well as giving a realistic sale price. Her courteous manner and optimistic outlook as well as her wealth of experience in the real estate field culminated in a successful sale.